SBS Modified Bitumen - Old Dominion Roofing & Construction, INC. 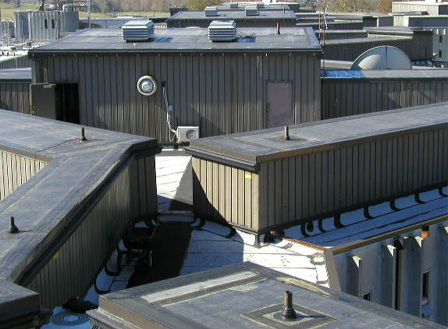 Modified granular roofing can be installed in up to three plies, depending on the circumstances for installation. From here, membranes are welded together for increased durability. Modified granular roofing has been a tried and true commercial roofing solution that businesses have relied on for decades. This lightweight solution makes it cost effective as you can use less, all while getting more in the long-term. Modified granular roofing is a durable commercial roofing solution that can last up to 15 to 20 years when properly cared for. With this type of return on investment, modified granular roofing is a cost-effective roofing option that many have found to be a great return on investment, both in materials and in overall construction. As you work to decide which type of roofing is best for you, Old Dominion Roofing will help you every step of the way to determine your best pricing and durability to help you get the most out of your dollars. For more information about SBS Modified Bitumen 804-225-7164.